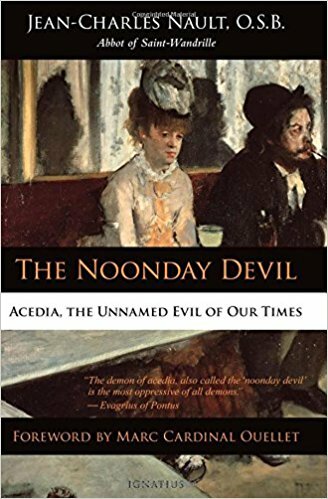 This week’s free read is The Noonday Devil: Acedia, the Unnamed Evil of Our Times by Jean-Charles Nault, O.S.B., with a forward by Marc Cardinal Ouellet. The state of acedia, also known as the vice of sloth, has been described by authorities from Antiquity to the Middle Ages as weariness and lack of purpose. Although better understood and acknowledged in the past, acedia afflicts persons in all states of life even in our own time. In his insightful book, Nault not only enumerates the symptoms of acedia but also suggests useful strategies for overcoming it. For a chance to win a free copy of this book, comment on this post or its corresponding Facebook post. We will announce the winner on April 18.